The Council for Scientific and Industrial Research (CSIR) launched its highly anticipated Green Book, which provides decision-support to municipalities to adapt settlements across the country in light of projected climate change impacts. Co-funded by the Canadian International Development Research Centre and the CSIR, the Green Book is the result of a three-year initiative where the CSIR collaborated with a number of stakeholders and reviewers. Complementary to the Green Book is The Neighbourhood Planning and Design Guide (Red Book), developed by the CSIR for the Department of Human Settlements. The Red Book is aimed at built environment practitioners, and it supports the development of sustainable human settlements by providing practical information related to the planning and design of the services and infrastructure typically provided as part of a neighbourhood development project. 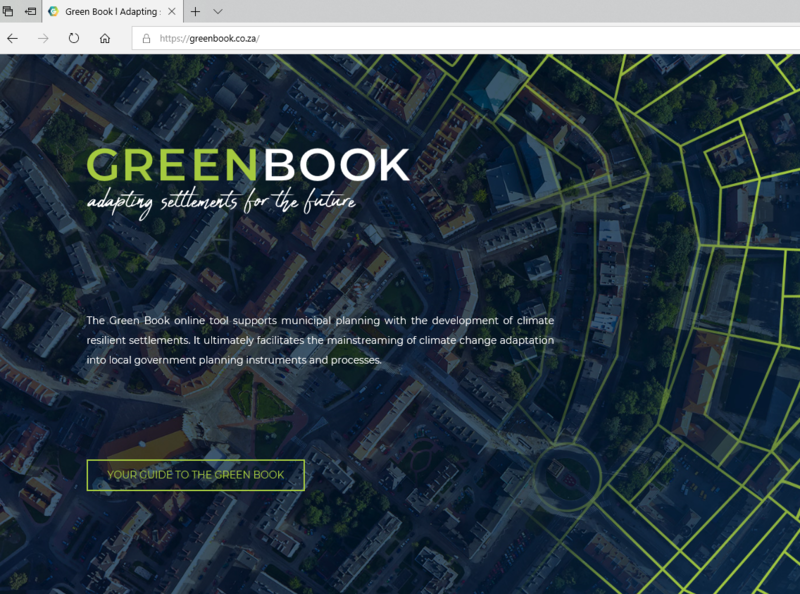 Whereas the Green Book proposes a basket of mutually-supportive adaptation interventions to be integrated into a range of local planning instruments to adapt settlements to climate change risks in the future, the Red Book provides more detailed design guidelines for some of these interventions. Water supply is considered to be one of the principal mechanisms for the realisation of climate change impacts on society, as water availability is directly related to changes in precipitation, temperature and evaporation. In addition, water is critical to most, if not all, requirements for livelihood support, health, economic growth and development. Determining the climate change risks for water supply, however, is complicated. South Africa has a highly complex and integrated bulk water supply system consisting of a number of large dams and inter-basin transfers. The country has also developed a high level of skills in water resources planning. For example, stochastic time-series simulations are used to design the bulk water system to a high level of assurance of supply, which is then managed through the analysis of complex water resources system models for balancing demand and supply. Climate change presents a number of risks to South Africa’s water resources, including changes in precipitation, changes in streamflow, declining water quality, as well as droughts, flooding and wildfire. The Green Book analyses these risk factors and translates them into the risks that municipalities will face as regards providing water. Streamflow changes, for example, will impact the amount of water that flows into rivers under future climate change scenarios, and in some cases, this could lead to less water supply in certain towns. With an average rainfall of only about 450mm/year, and significant annual and seasonal variability, South Africa is a water-scarce country. Rainfall also varies from over 1900mm in the east of the country and in the mountainous areas to almost zero in the west and north west. Conversion of rainfall to runoff is also low with an average mean annual runoff (MAR) of only 40mm, one seventh of the global average of 260mm per year. Like precipitation, runoff is highly variable in both space and time. Demand for water is not evenly distributed, with most of the major water demand centres located far from the available water resources. The city of Johannesburg, for example, which is the major economic hub of the country, is the only large city in the world to be located on a continental divide. This has resulted in a need to store water and to move water around the country to meet current and future demands. The International Commission of Large Dams (ICOLD) ranks South Africa sixth in the world in terms of number of large dams and we have a highly developed and complex bulk water supply infrastructure system that is capable of moving water from one part of the country to another. A proactive approach to water resources planning, as well as investment in critical infrastructure, provides some reliability in the system despite highly variable precipitation and streamflow. This is critical to the economic development of South Africa and can also provide resilience to climate change impacts, provided it continues to be managed effectively. If you are involved in settlement planning and disaster risk reduction be sure to check out the newly launched Green Book by the CSIR, www.greenbook.co.za. Full thanks and acknowledgement are given to www.csir.co.za for some of the information contained in this article.